If I'd read this book in print, I'd likely rate it a 3.5.The content is solid.It's a great introduction to the world of owning a domain portfoio, well research & well written.I read this book on the Kindle, and simply format, the formatting is terrible.Footnotes are more or less broken (which was sad to see, as they are source of great additional information), any type of column data (e.g., domains & prices) is a mess, making it very hard to read, and these combine together to occasionally lead to incorrect linebreaks, splitting paragraphs & the like.Considering it's currently priced at twice a typical Kindle book sells for, I was pretty surprised by that. If you're interested in the world of domains, I would definitely recommend picking this up, but be aware of the above caveats if you choose the kindle format. [...] is a wonderful book for those that want to know the history of the domain name business started, and progressed through the years. It covers the players and strategies involved in the business and exposes the business models used to generate domain portfolios that are worth hundreds of millions of dollars. Interesting read. I believe this book is totally fascinating to those who are new, hear about, or never engaged in real domaining practices, but were aware of what was happening. As a journalist's account of those who were successful in the domain name gold rush this book is a great piece of work. It denotes how value is undermined for companies and corporations until it hits them where it hurts them. As for future domainers or people interested in the real and future possibilities of making money from domain names and the internet itself, is not really useful. Those bucks should rather go invested in a hosting account and a domain name right away, since there is no better teacher than experience. Ifyou like reading about and imagining yourself living in the "gold rush" days of the 1800s, you might also enjoy reading about a modern-day gold rush in the book "The Domain Game" by David Kesmodel. The difference here is that there may still be some gold to be had - since a hundred years from now, the current time period will be regarded as the infancy of the Internet. 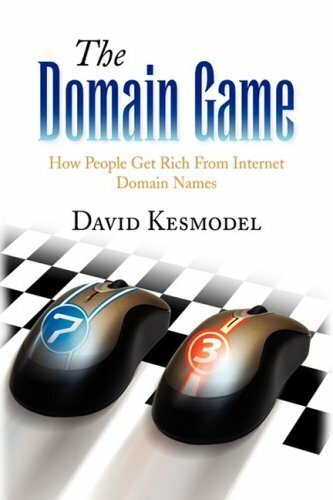 I enjoyed reading David Kesmodel's behind-the-scenes stories - and kicked myself even more for not registering www.realestate.com back in the day as I thought to myself, "I bet that might be a good domain name to have . . . ."
The subtitle of this book, "How People Get Rich...", would be more accurate by using the past tense; "How People GOT Rich..."However, although it is no longer possible to do what the early domaim name speculators did to get rich, a fundamental knowledge of the evolution of this industry is probably an important prerequisite for spotting future opportunities. Setting up your own domain and website without a readily available office expert can be challenging, even for the technically savvy.You have to choose from multiple options, from simple to complex, to configure web technology to meet your needs.Individually, each software component is not difficult.It's the oh-so-important details involved in putting them together that can be problematic. This book is your guide to the many technology tools that can be utilized to build your web presence.Stages from registering a domain name to creating a website and utilizing your domain for email and internet marketing are outlined. 1. Set up a domain registration correctly for asset protection, email and a website. 2. Evaluate options for building a website. 3. Become aware of alternative email configurations for domain names. 4. Make their domain and website findable using simple internet marketing techniques. 5. Learn basic online and offline tactics for driving web traffic to their website. I read the PDF version of this book and found it covered a lot of basic info. If you are new to creating your own sites and don't understand the basics of registrars, and hosting, and how to set up a site or a blog this should help answer your questions. It starts with the basics of what a domain is and how to register one. Then it has quite a bit of information about domain emails, in fact, I even learned that you can set up your gmail account with multiple emails. This book pretty much covers everything from creating a static site to a blog using WordPress, Blogger, or Typepad. It also touches on keyword research and link building. This book seems to be intended as an overview for beginners. If someone was confused by the structure of setting up their own sites, after reading this, they would have a good idea what to research next. It's not the end all and be all of web information, but it is a nice starting point and a thorough overview that covers all the bases. I bought this book because I was assigned the task of researching websites in advance of revising my company's existing site. I didn't know a single thing about websites, so I bought a couple of books that sounded promising. This one far exceeded the other one I bought, for content, clarity and good writing. While I'm not looking to make a website for myself, and my company already has a web presence, I still learned a lot of the basics from this book, which is just what I was after. It doesn't cover every single thing, but it's pretty comprehensive. After reading it, I feel I would be able to start up a website on my own, if I wanted to. - CH. 2: Registering a Domain ; -- Wow.Getting past the obvious reason why this shouldn't even be in this 'book', it pretty much lays out what the start pages of GoDaddy's ordering process would look like.Only, the writing in this book is even more technical and confusing. I was going to actually post a video of this review, and let Amazon shoppers know how little is in this 'book'.But I'm currently in my pajamas, and this drivel I ordered is not worth the effort.I also was going to really tear into this 'book' in detail, but it's just frustrating to flip through the half empty pages.The author, Jean Bedord, should really be ashamed.How could you possibly charge twenty dollars (the MSRP on the back flap is 19.99) for a pamphlet?A small free booklet at your local Small Business Administration has more information than this pamphlet. Please use the Amazon's Look Inside feature for this book, and look through the first few pages.That's it.You've pretty much seen half of this 'book'.The table of contents itself should tell you that there isn't enough here to fill a decent flyer, let alone booklet.If anyone else has bought or read through this, please post your honest review.We have to let people know that they should not waste their time here, and let us counter all the 5-star 'reviews' that Jean Bedord has paid for.I thought this would help me out, since I have some Dreamweaver books, a few entrepreneurial books on start up businesses, and a few more on actual website design.This book covers nothing.It describes what a domain is.That's it.Go to the wikipedia page for "Domain" and you will find ten times more useful information than you will in this book. I've Got a Domain Name--Now What??? : A Practical Guide to Building a Website and Web Presence is a short book packed with solid advice on building your website. Jean Bedord shares her knowledge about creating websites that are "findable" by search engines. She begins at the basics, clearly explaining how "titles", "keywords" and "webpages" all fit together. My favorite part of I've Got a Domain Name--Now What??? : A Practical Guide to Building a Website and Web Presence is that Bedord provides many detailed examples. Although some of the screenshots' type font is too small. I've Got a Domain Name--Now What??? : A Practical Guide to Building a Website and Web Presence is an outstanding book with scores of tips for getting started. Many more peoeple want to take advantage of having their own websites but have limited access to learning how to do so.The internet has too much information, which can be intimidating, but this book makes what can be an overwhelming process much easier to digest. For individuals or companies, web sites have become like a business card,and this book helps make building a website and manageable process. This is also a great resource for job seekers, to add a website to their arsenal of promotional tools! 3. Domain Name Investing: Make Money Online And Run Your Own Home Business By Buying And Selling Premium Domains In Your Spare Time! This book is not just about the rudiments of creating a website, though there is an entire chapter about it, but it tackles all the investment potentials of a website, whether it's parking or an active and .established one. This book has helped me build my own website from the basics. Generate the traffic I hugely needed to build my business online presence to market effectively. Plus, it's given me the concept of improving my website, making a name for it so I can generate a huge profit from it when the time comes. That to me is a great investment idea, the potential to sell it. Whatever initial outlay I put out I know the return on my investment will be significant. The guidelines for each topic are specific and easy to follow. So, this is a great read for me. This book is intended for beginners. 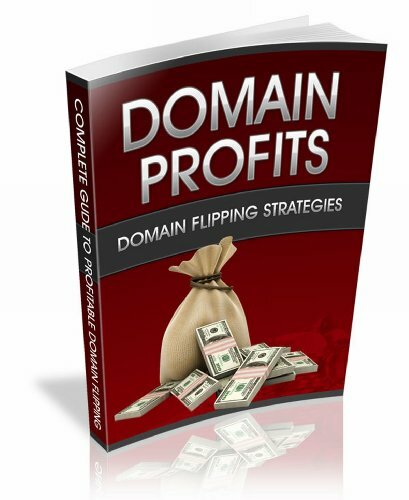 It's a fantastic guide to the how-to's of buying and selling domains, profiting tactics on flipping, building your website from the ground up and then profiting hugely from it, making money while the domain is parking. Pretty much all the basics someone new or not tech-savvy ought to know. I really like the "Dummies" books on almost any subject. 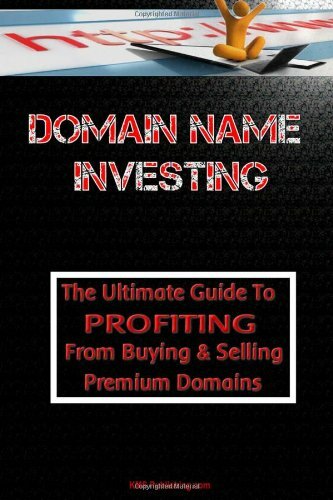 It seems to me though that learning about domain names doesn't necessarily require reading a full book like this as there are plenty of resources online to learn about domain name buying/investing/etc (not all good of course). Either way, I am really glad to see this book published because it brings some more mainstream attention to this great subject. 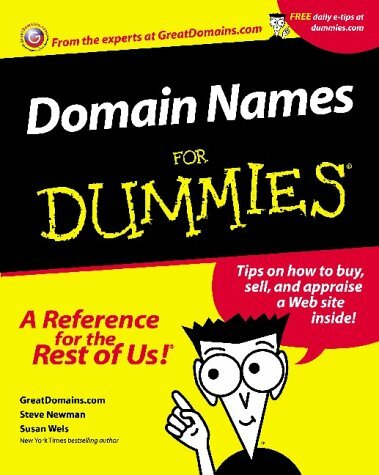 In general, I am a big fan of For Dummies books.However, this book does not live up the usually high For Dummies standard for two reasons.This book was written at the height of the dot-com bubble, and GreatDomains.com wrote this book. Having GreatDomains.com write this book would be like having Weight Watchers write Dieting for Dummies.You can't expect unbiased advice from a leading company whose business model is selling expensive generic/descriptive domain names. There is a controversy on generic vs. proper names, but this is barely mentioned in the For Dummies Book.The opposite view, "The kiss of death for an Internet brand is a common (generic) name" is taken in the book "The 11 Immutable Laws of Internet Branding." I am not saying that one view or the other is correct, but a book on domain names should cover both sides. 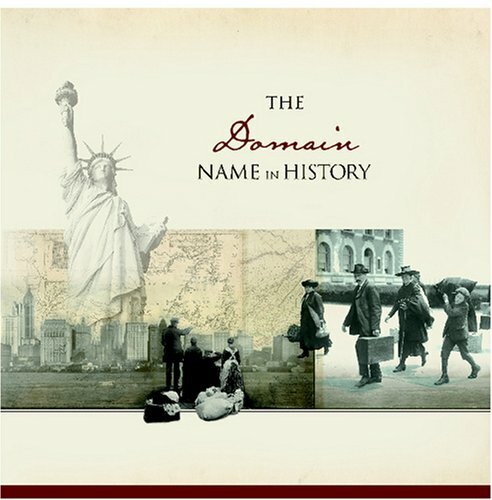 Chapter 3 is titled "The New Land Rush in Domain Names. "The first section is "Understanding the Reasons Behind Skyrocketing Domain Name Prices. "Since the book has been published, domain name prices have fallen faster than dot-com stocks.All of the domain name prices in the book should be reduced by a factor of ten or more. Still much of the book contains useful information, and the price is reasonable.You just have to keep in mind that the information is one-sided and written at the height of the dot-com bubble. A less biased but overly legal book is "Domain Names" by Elias & Gima.Also look at "How to Select & Buy an Elite Domain Name." 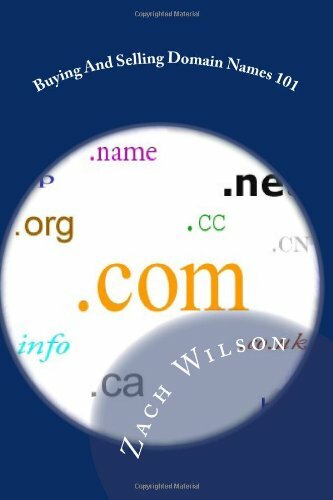 DomainIcons.Com recommend this insightful book to any individual who seeks to broaden their comprehension on domain names.Wow. Have you ever wondered about the ins and outs of Internet Domain Names? Now's your chance to learn all the basics, plus plenty of advanced tips and tactics too! Section One - Domain Names 101 - is written specifically for beginners. If you don't know what exactly a domain name is, how it works, or even how to get one of your own, this section is for you! Section Two - Making Money With Expired Domains - covers more advanced tips and techniques which can help you make money with domain names. --> Why Buy Expired Domains? 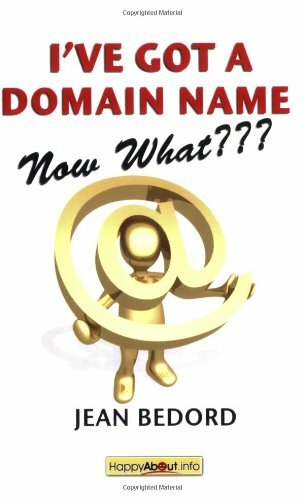 Written by a professional published author who has bought and sold domain names since 1997, this comprehensive guide was originally released in 2001. It was updated in a 2nd edition for 2007, and this 3rd edition was edited and revised specifically for the Amazon Kindle in December 2008. Please feel free to download the preview, read the entire Kindle book, and leave your comments and feedback too! This very affordable little book gave me the information I needed when I needed it and at a price that didn't make me wince.I wanted to find out something about domains (What in the world? ); and I didn't want to pay $[...] at Barnes and Noble for the education. (I'm not called Cheap Mike for nothing! )Oh, I'd been around the net long enough to know the information was out there--but in a terribly disorganized and fragmented fashion; and besides, staring at a computer screen for hours hurt my aging eyes.Then along came the Kindle and little inexpensive books like this one. I was dubious at first:something worth reading for less than three bucks?On the other hand even I am willing to gamble at these prices.And I won.This little book not only answered my questions, it piqued my curiosity and led me in a completely unexpected direction. 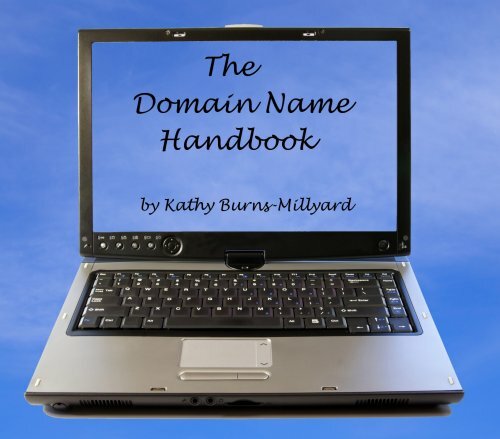 The first short chapter is called "What is a Domain Name? "Exactly what I wanted to know and I didn't have to plow through the mountains of verbiage that accompanies books with titles like "Learn this or that in 24 Hours" or "The Idiot's Guide" at fifty bucks a whack! 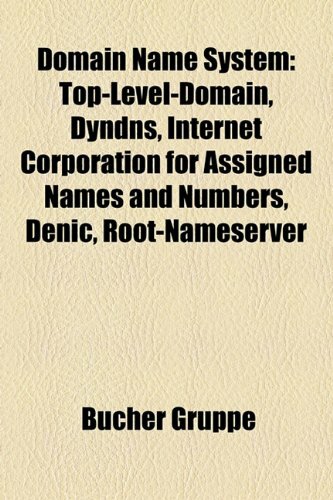 The following chapters are just as short and to the point.Want to know about types of domain names?Com. ; Net.;Tv. ; That sort of stuff?Want to know about how to make money with domain names?Have you ever wondered where domain names go when they die--excuse me, expire?It's all in this little book.Hey, with the money you save buying this little darling you can buy yourself a half dozen domain names! To even call this a book is a big stretch....it's a pamphlet, with big print taboot.There's very little in here that a keen 5th grader couldn't find for himself using google.As some people said there are alot of valuable websites (for the author and the owners of those websites) , he adds alot of websites that serve very valuable purposes and that are all very expensive to use (I've only visited 2 and one was $30/month while the other was $98.00/month)...then in 10 minutes of searching I found the same services for free on other sites.I find it hard to believe that so many people are blown away by this "book".......most of it is common sense.......It just goes to show you that you can also make a ton of money by writing a 40 page pamphlet and inserting monthly charging website url's into the book and then go around and make your monthly collections from your "advertisers" and make a killing.There's really nothing in here on marketing and advertising other than how to list something on Ebay.The websites all seem to serve a great purpose, but 2 times out of two I found another free site within 10 minutes.If you consider yourself educated and internet savvy, I really don't think this is the book for you.The only thing of value in this book is that domains that have been previously registered are worth alot more money PERIODand then he points you to expensive websites that will lead you to them. I own a bunch of domains but haven't sold any yet before reading this book.I wanted the inside scoop.This book walked me through the process in plain language. You can tell it's written by someone who has done it, not just a writer. It's very detailed. The author points out several resources to help you in the process. A useful read if you want to sell domain names. The author walks you through the entire process of domain buying and selling from how and where to find them, evaluate their value, register, transfer and market them to make profit.The title is "101" but that is where this guide starts- it takes you through advanced areas of the art of domain flipping. I have recently become very interested in buying and selling both websites and domain names.Information for beginner site-flippers is available in abundance, but most of the information I have been able to track down about domain-flipping (mostly in the forums) was a bit over my head. This books gives a very good basic education about buying and selling domain names.Now, I am ready to go back to those forums and join in the fun! Ellen does an excellent job recording history.What is unfortunate is that history is ephemeral on the net.Ellen's book is no longer in print - I ponied up for a used copy simply for the record of what transpired and I am glad to have it. I have to agree with one of my fellow reviewers - this book is way too technical and dry. With heavy, heavy chapters devoted to the development of the domain name system, trademark challenges, dispute case studiesetc., The Domain Name Handbook reads more like a govenment manual than an istructive and entertaining piece of writing. Ten out of ten for so much research but not many out of ten for entertainment value, (and, yes, even an instruction manual can be enetertaining).... Theirwell-linked pages will take you some interesting routes to wherever the real knowledge lies. If you're a sucker for tables, lists, facts, data and specifics, this book with inform. If, like me, you prefer that learning should be fun, you'll find yourself in the wrong hands here. In any case, the book was published in mid 1998 and, with so much having happened on the Web, is in dire need of a revised update. 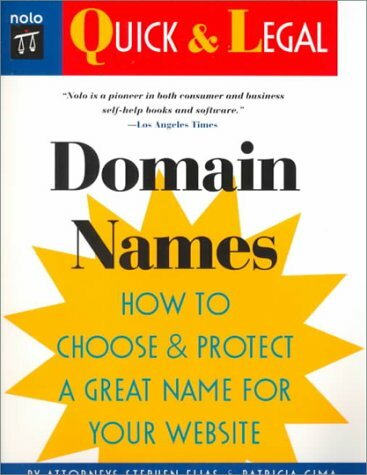 This book is way too technical and dry.Domain Names for Dummies treats the subject matter in a much more enjoyable and business-oriented fashion. The user is left with little useful information and usable next steps. This was the first book I purchased in mysearch tomake sense of the domain name business. It provides greatinformation on the details of the domain name naming system and the historyof the organizations involved. It also provides excellent information ontrademark considerations and issues. If you are an attorney, or anyoneseriously getting into the domain name business, you should have this inyour library. Rony is highly knowledgeable about the minutiae of thedomain name registration rules, and offers a great history with someexamples of cases of trademark cases and squatting that are highly usefulfor understanding the way things work.She's now consulting as an expertin this area, a clear sign that her expertise is credible with corporationsand courts. The book does not cover such considerations as thecreative and business consideration process of coming up with a uniquedomain name. There's another book that goes into this topic in moredetail--How to choose and Protect a great Name for Your website. Neitherbook covers factors which contribute to the value of a dmain name,findingbetter prices for name registration, websites and strategies for doingresearch on names you are considering. The Most Comprehensive Domain Name Resource to Date! Remember the old saying, "What's in a name?" A name should represent a well known company, person, quality workmanship, products, and services. Nothing could be more true when we consider what is involved inregistering and using domain names today.Ellen Rony and Peter Rony havewritten The Domain Name Handbook to provide readers with a considerableamount of detailed information about this often overlooked but essentialelement of establishing an online presence. When a company or persontakes action to establish themselves online it is necessary for them tocome up with a unique domain name that clearly represents the nature oftheir products, services, or other stated purposes of the Website. Soundseasy enough but this is not necessarily the case. One of the most hotlycontested aspects of setting up a Website today is the selection andownership of a domain name. There are a number of factors to take intoconsideration in this crucial decision making process. Ellen Rony and PeterRony do a masterful job of exposing the many pitfalls that could spelldisaster for anyone wishing to set up shop online today. This650-page book is packed with extensive information about many of the legalchallenges that have been waged over the registration and use of domainnames, including alleged copyright violations, trademark infringement, andactual court cases.This is the most comprehensive resource for domainname dispute case studies to date. It is heavily footnoted. Thumb throughit to read up on what real people have experienced themselves. 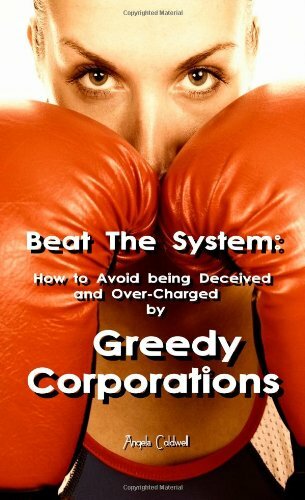 Many of theaccounts will expose the darker side of the business world we competein! According to the documentation provided in this book some bigname companies have gone after smaller companies and persons (and viceversa), who have registered domain names already trademark protected byexisting laws. 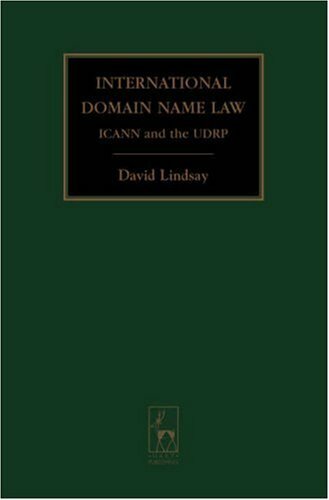 Some of the laws currently pertaining to Internet domainname use have not been etched in stone as of yet but information providedin this book will help chart the course. The accompanying CD and a Websiteoffer supplemental reading material. Although these resources offer plentyin terms of legal proceedings, the authors recommend that readers consulttheir attorneys for solid legal advice! With clever (and even not-so-clever) names for websites disappearing faster than you can say "Internet Start-Up," e-entrepreneurs need to know that their choice won't be whisked out from under their ISPs. Some inventors and entrepreneurs may have become gun-shy about utilizing the Internet to promote their products after the collapse of more than 100 dot-coms and the disappearance of 40,000 dot-com jobs in 2000. However, the fact remains that the Internet has become a powerful business tool not only for "new economy" companies but also for "old economy" companies. 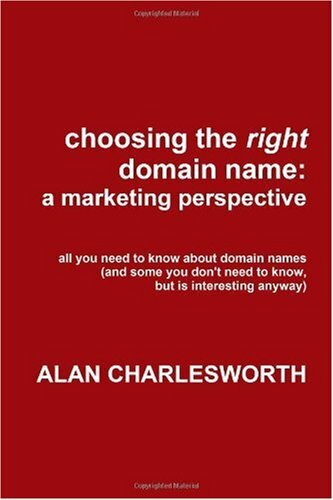 This book provides the basis for making informed decisions for selecting, maintaining, and using domain names to promote your product or service. The authors immediately make the point that "Choosing a name, or more than one, for your web site is no trivial matter -- your decisions can make or break your business". They offer as proof as to the value of a good domain name the fact that one such name, just the name itself, sold for $7.5 million! 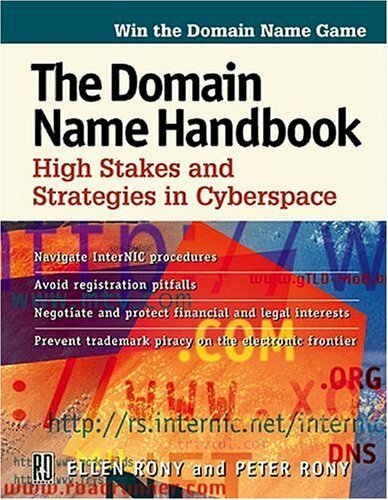 The book details how and where to register your domain names. Network Solutions Inc. (NSI), is the current dominant register, but others are listed and their web addresses given. It is vital to be the "senior user", i.e., the first to actually use the name. This applies to any domain name and in particular to when your name is also a trademark. It is also vital that your name be distinctive and that it avoids confusing customers by its spelling or by the sound of the name. The authors quote George Eastman's famous advise about name selection -- "Be short, be vigorous, be easily spelled, and mean nothing". They note U.S. trademark laws specify six types of names that cannot be used. One such category consists of names that "contain immoral, deceptive, or scandalous matter". If you wish to sell or buy a domain name, the book provides a domain name transfer agreement form. A chart is given that lists the various factors to be considered if you discover someone is using your name or an excessively similar name. You must be alert to "cybersquatting". That is others using your trademark as a domain name. In 1999, Congress passed a law against such bad-faith use of names. In about l5 minutes, you can now search the U.S. Patent and Trademark database for registered or pending trademarks. The book gives directions and screen images of this site. A great deal of time, money, and grief may be avoided by making this simple trademark search. The book also lists other sites, such as www.thomasregister.com, for currently used commercial names. Always remember that the "likelihood of confusion" is often the key ingredient in trademark hassles. Many court decisions have been made in this area, but it is still a gray area in some cases. The authors devote a full chapter as to how to register your domain name as a trademark in the U.S. Patent Office. Having a registered trademark is a powerful position to be in if a legal dispute arises. Another chapter, "Help Beyond This Boo"," provides information as to where to go to do legal research regarding federal laws. It also provides advice for finding a lawyer who is competent with regard to trademarks and who is respectful, honest, and conscientious. Uncontrolled "billable hours" can ruin you financially. Read this section well. The book's appendix contains a complete listing and explanation of the 42 classes into which trademarks are divided. Also, several pages detail how recorded computer software now is assigned to various classes. In common with other Nolo publications, this book does a superb job of explaining, in plain English, the practical and legal aspects of the subject. 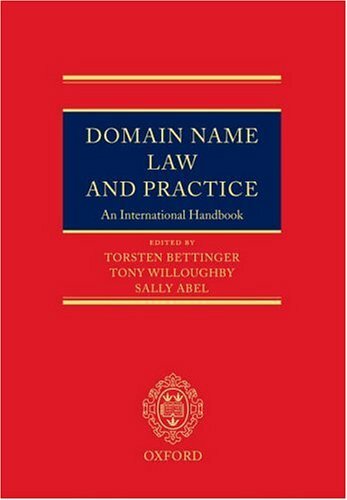 This book will not make you into a domain name lawyer, it does not claim to, but reading it may save you a lot of grief down the road. I think this book is worth every penny. It helped me to find best sites and deals on domain names. It also taught me how to protect my trademark and keep all my whois info private. I've learned so much about domain registrars. Choose the registrar which is right for you! They have private registration for free..I wonder why I've paid extra $9 to Godaddy ? marked) Good luck with your domains! A better title for this book would be "How to Choose an OK Name for a Small Business." As another reviewer noted, this book was written by lawyers, who seem to know more about law than marketing.Consequently, the marketing advice is rather basic, but correct in my opinion.This is exceptional considering all the bad advice out there on domain names. But if you are a small business, you don't need a great domain name, and it's not cost effective for you to spend thousands of dollars or many hours choosing a great name.An OK name with no trademark problems will do for most basement, small and garage businesses. Written by lawyers, this book has good trademark advice.If you are looking for marketing advice for a larger business, look at "The 11 Immutable Laws of Internet Branding" by marketing expert Al Ries, "How to Select & Buy an Elite Domain Name" or other books on branding. This was the second book (there are only two in print) I bought in my quest to understand the domain name business. It does provide someuseful information on coming up with your own domain name and it doesprovide lots of info on trademark considerations in choosing a domain name.It is primarily for the trademark considerations that I give it the threestar rating. While the Ronan's book on Domain Names (The Domain NameHandbook; High Stakes and Strategies in Cyberspace by Ellen Rony, Peter R.Rony) does a nice job on covering trademark history, this book does abetter job from a "How-to" point of view, whichis notsurprising since it is published by an interesting publishing house, Nolo, which puts out lots of how-to law books. I expect to order more ofthese. By my read, about 55 pages of the book are clearly related todomain names. The rest of the book is more related to trademarkconsiderations. It's almost as if they took a book on trademarks andmodified it and added the pages on domain names. Since, if you screw upon a trademark factor with even a single domain name registration, it couldcost you at least the $16 or less cost of a name registration, this book's$20 cost is well worth the investment and time persuing its detailedtrademark coverage, to prevent running into trademark problems. TERRIBLE , inaccurate, and misguided. Welcome to the profitable world of domain flipping. If you are looking for a no-risk - no worry method of making a living online, it just doesn't get better than this. With domain flipping, you can literally take a $9 domain name and flip it for $90, $900, even $9,000 dollars quickly and easily! It's no wonder that so many people have ditched the high cost business models to pursue the domain flipping industry. With domain flipping, you work only as much as you want to, and can consistently generate HUGE paychecks every single day, just for a couple of hours of your time. Imagine waking up each day knowing that your bank account is a bit fatter while you were off spending time with family and friends. 14. Expired Domain Fortunes - Discover How To Buy Expired Domain Names That Come With Existing Traffic Streams! With the straight-forward Expired Domain Fortunes eBook, you’re going to uncover the staggering potential behind purchasing expired domains, and learn exactly how you can use them to create an instant portfolio of virtual real estate that make money, 24/7. * An introduction to purchasing expired domains for staggering & immediate profits. * Exactly why expired domains are so valuable if you want to create a huge portfolio of virtual real estate without having to spend an endless amount of time and money to get them established & profitable. * The ways to make money immediately (within 24 hours) of buying your expired domains. * How a simple one page site can start generating multiple revenues once you buy a good expired domain. * The different reasons why domains creep into expired status (and why its great news for you and me). * EVIL Expired Domains - Beware of this simple but crippling trick. Buy existing domains that fall under this lethal category and it could ruin your online reputation. * The truth behind the domain expiry process - no, a domain isn’t yours as soon as the expiry date is past. You’ll discover exactly how the domain expiry process works so that you can be perfectly placed to scoop up expired domains that would benefit you. * How to yield powerful incomes by buying up all the high-traffic expired domains in your niche. * The vitally important tools you need in order to find more expired domains with floods of targeted traffic than you could possibly exploit - includes one free keyword based expired domain search site! As the first form of truly rivalrous digital property, Internet domain names raise many challenges for law and policy makers. Analyzing the ways in which past disputes have been decided by courts and arbitrators, Jacqueline Lipton offers a comprehensive, global examination of the legal, regulatory and policy issues that will shape the future of Internet domain name governance. 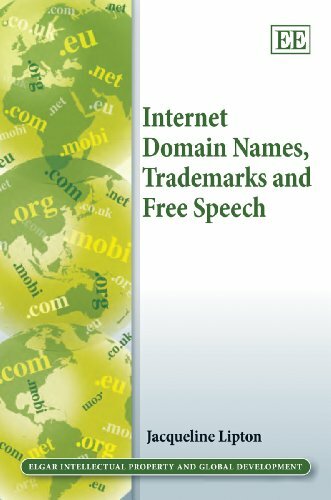 This comprehensive examination of domain name disputes involving personal names and political and cultural issues sheds light on the need to balance trademark policy, free speech and other pressing interests such as privacy and personality rights. The author stresses that because domain names can only be registered to one person at a time, they create problems of scarcity not raised by other forms of digital assets. Also discussed are the kinds of conflicts over domain names that are not effectively addressed by existing regulations, as well as possible regulatory reforms. This is the book to buy if you're looking for a thorough legal guide to domain names. Perhaps too thorough and legal-technical for the non-legal type; you won't find much technical or marketing help in this book. 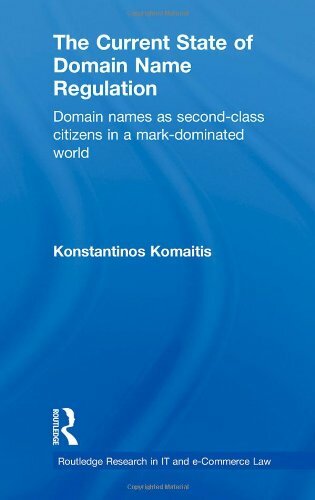 Written by three attorneys in the United Kingdom, this 287-page book touches on all legal aspects of domain name registrations, trademark issues, sales and transactions and dispute resolution. Although provided with a heavily European flavor, the book will surely prove useful to anyone wanting to brush up on domain name legalese and case law throughout the world. Applicable to any domain holder, the book does suggest registering your domain name as a trademark in as many classifications as possible in as many countries as possible, to avoid any future headaches. In addition, I was made aware of the "Madrid Agreement" whereby trademark applications are shared across 40 countries, simplifying the application process for any domain holder.